Join Harold on an emotional rollercoaster through Mexico and his conscience. “Gringo” is an amusing action movie with an unexpected philosophical twist. The film is centered around a man named Harold Soyinka (David Oyelowo), a worker in middle-management for a pharmaceutical company that sells cannabis pills. The heads of the company, Richard (Joel Edgerton) and Elaine (Charlize Theron) have been secretly selling drugs to a Mexican drug cartel as a way to make extra money. During a business trip to Mexico, Richard and Elaine bring Harold with them as their assistant. Unbeknownst to Harold, the purpose of the trip was to provide an excuse for Richard and Elaine to end their business with said drug cartel. After their business is done, Richard and Elaine intentionally leave Harold behind in Mexico. During his time there, he encounters everything from traditional Mexican festivals to rumbles with its infamous drug cartels. While Harold is a considerate, mild-mannered man, Richard and Elaine are caricatures of avarice. The juxtaposition of Harold’s principled mindset with Richard and Elaine’s self-absorption evokes important questions about human morality. Richard and Elaine are embodiments of corporate greed while Harold is representative of the underdog who believes in the value of hard work. Yet, it is the less ethical characters that seem to succeed while the “good” people are taken advantage of. Harold ceaselessly grapples with a dangerous drug cartel who is trying to abduct and murder him because they think he is the boss of the company he works for. In addition to his already overwhelming situation in Mexico, Harold also finds himself grieving over many personal betrayals from his wife and friends. Despite the turmoil he faces, Harold consistently chooses to go down a virtuous path, even if it means sacrificing the life he thought he wanted. Harold learns that being a good person doesn’t require complete selflessness. After being abducted by a drug cartel, Harold realizes the importance of acting in his own best interest. In the midst of personal humiliation, Harold experiences an existential crisis in which he questions the purpose of leading an honest, virtuous life. When everyone he’s ever cared about turns their back on him, Harold begins to feel that his morals have brought him nothing but grief. Harold is able to overcome his doubts by finding the strength he needs within himself. Unfortunately, not all of the characters show as much growth or depth as Harold’s character. Sunny (Amanda Seyfried) and Miles’ (Harry Treadaway) characters seem to have potential, but the two are not integrated into the plot as much as is suggested by their introduction in the beginning of the film. Sunny’s character ultimately establishes a friendship with Harold when she finds him injured on the side of the road and decides to help him. However, there is little-to-no buildup to explain the fruition of their friendship; one moment they’re perfect strangers, the next they’re the closest of friends. Prior to finding Harold on the side of the road, Sunny and Miles only encounter him in the sense that they happen to be in the same vicinity and take notice of him. Sunny and Miles’ characters feel forced and are regularly thrown into scenes that don’t add anything to the plot or even require their presence. 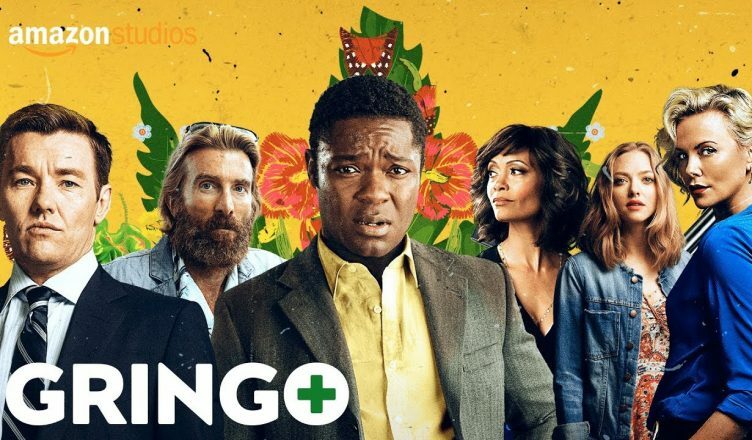 Overall, “Gringo” has some valuable lessons about what makes a person truly ethical, but has many issues with fully developing its characters. Half of the characters were portrayed as caricatures with no real depth beneath the surface. Throughout his journey, Harold is faced with impossible situations in which being a good person only serves to exacerbate his suffering, but comes to find that his integrity is the very thing that helps him transcend his losses. While there could have been better character development, the movie as a whole has important lessons to offer about what it means to be a good person when faced with adversity. “Gringo” is less about Harold trying to escape from the Mexican drug cartel than it is about his efforts to achieve success while maintaining his integrity in this selfish world. “Gringo” successfully deals with fundamental questions of human ethics under the guise of a modern comedic action movie, pushing the message that human goodness varies case-by-case. While it is important to be patient and considerate of others, it is even more important to be considerate of one’s own well-being.